Hinchtown Hammerdown, our collaboration beer with Verizon IndyCar driver James Hinchcliffe, is by far our favorite track-day and month of May beer. The pilsner-style beer is available on draught and in cans at the taproom, at select Indianapolis bars, as well is in 4-packs of 16oz cans at stores all around Indiana. To check out where you can purchase Hinchtown Hammerdown go HERE. Hinchtown Hammerdown and our Upside Down Blonde will also be available on draft at the Indianapolis Motor Speedway the whole month of May-- including this year's IMS Grand Prix! Check out the other racing-themed beers we have this year below! Check out current the full Indy tap list here. Leading up to race day, we'll be running the ultimate carry-out special featuring our crisp and refreshing James Hinchcliffe collaboration beer, Hinchtown Hammerdown. It’s smooth, drinkable, and goes down fast-- the perfect beer for a day at the track! 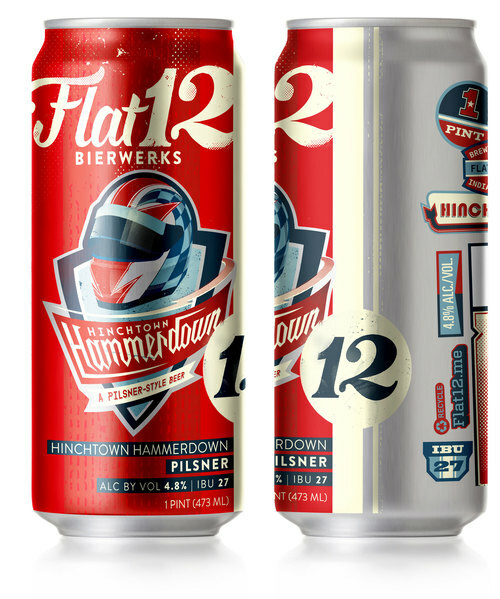 Verizon IndyCar Series driver and pole sitter, James Hinchcliffe, will be making an appearance at Speedway Kroger for a very special tasting featuring Hinchcliffe’s Flat12 collaboration beer, HInchtown Hammerdown. Hinchcliffe will dropping by the Kroger tasting from 6pm-7pm. 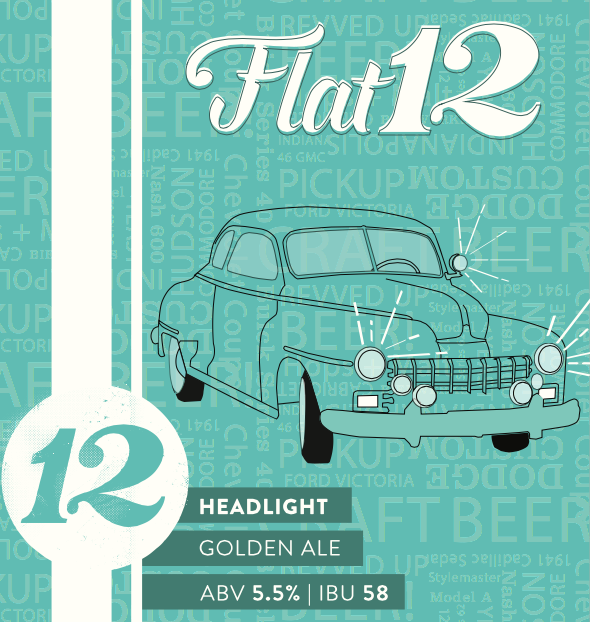 Dust off your classic car and drive it out to Flat12's First Annual Headlight Golden Cruise In on Saturday May 28th at 4p. We'll be releasing the easy-drinking summertime favorite, Headlight Golden Ale, and showing classic car films on a 30 foot outdoor screen. For the first time since 1950, the Indianapolis Motor Speedway has lifted the television blackout due to the 100th running selling out. Race fans will now be able to watch the Indianapolis 500 live, and what better place to watch than at Flat12 on the big screen? 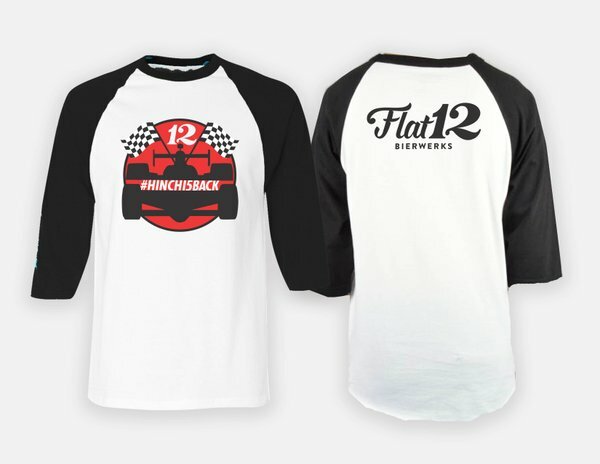 IndyCar driver and Flat12 beer collaborator James Hinchcliffe grabbed his first pole in an IndyCar Series race and first podium finish, so come drink his Flat12 beer, Hinchtown Hammerdown, and cheer him on in the 100th running. Grab your friends and family and get down here early to watch the “Greatest Spectacle in Racing,” while drinking yards of beer in commemorative 100th Running Flat12 yard glasses, and then take some celebratory beers home for Memorial Day weekend. Keep fueled with Hoagies & Hops' brand new Hinchtown Hoagie made with some of James' favorite ingredients. We will be opening early on race day and running Hinchtown Hammerdown carry-out specials with $39 cases and $7.99 four packs throughout race week, plus $9 commemorative yards with a fill of your choice. Let's raise a pint and watch Hinch throw the Hammerdown! *Grab a commemorative yard of Hinchtown at the downtown Marriott starting Friday May 26! For just $50 you are invited to Prime 47's Kegs & Eggs event, Sunday May 29th. The event features an all inclusive, all you can eat brunch buffet, unlimited Flat12 Beer (Hincthown Hammerdown and Half Cycle IPA, plus two complimentary speciality cocktails. Valet is available along with a chance to win door prizes. 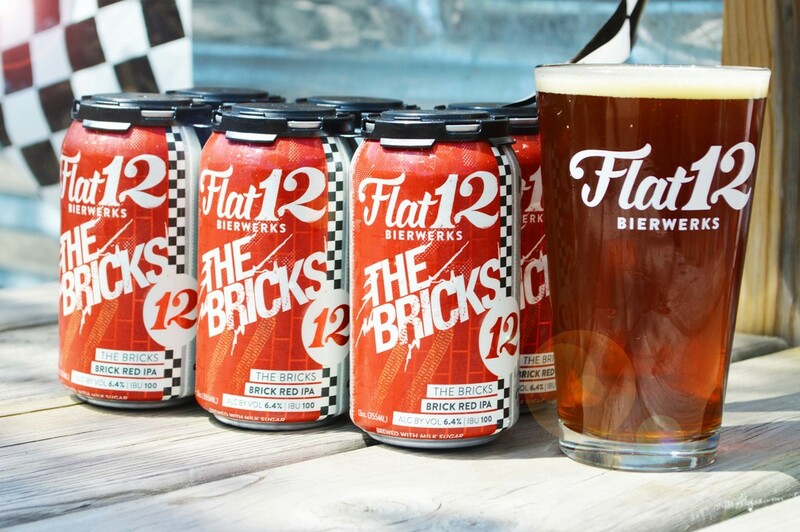 The whole month of May Iozzo's will have a Flat12 tap takeover featuring track-day favortie Hinchtown Hammerdown and other Flat12 brews. Plus they will be opening their patio on May 12th! 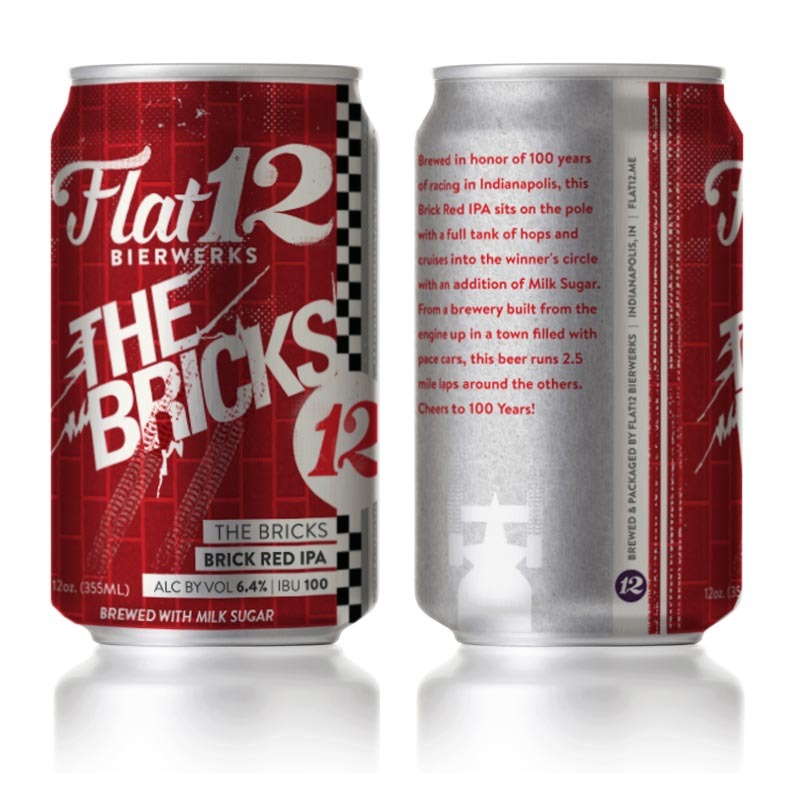 Iozzo's will also have a limited amount of 12oz The Bricks IPA cans.